11 lbs. - 25 lbs. 26 lbs. - 40 lbs. 41 lbs. - 75 lbs. 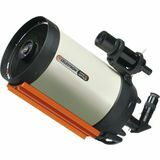 Add this to your favorite astrophoto mount setup and the Celestron EdgeHD800 OTA produces crisp, clear images. The telescope is great for the advanced to expert astrophotographer for capturing planetary detail, or the faintest of galaxies. 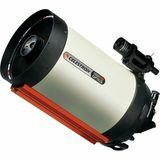 For the expert astrophotographer, the Celestron EdgeHD 1100 produces very clear and sharp images across a wide visual and photographic field of view. Perfect for even the largest CCD chips, you can capture the faintest of galaxies in great detail. 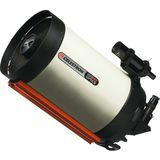 The Celestron XLT Edge HD 1400 OTA produces astrograph-quality images. The coma-free optics and built-in field flattener insure sharp focus to the edge of the field. The ultimate for lunar, planetary and faint deep-sky objects. 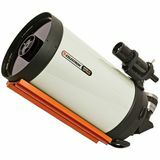 Expert telescopes offer uncompromising optical and mechanical quality for the most demanding amateur astronomer. They may be technically involved or designed for specialized use, such as astrophotography or detailed deep sky observation. They carry a premium price, but are designed to provide the ultimate performance in the field. Click the "Resources to Help You Choose a Telescope" link above for more information.